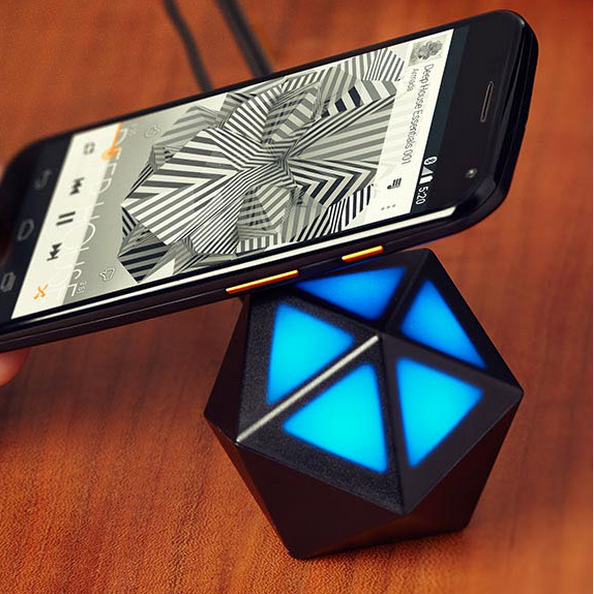 When it showed up at a cost of $50 a couple weeks ago, Motorola's new Moto Stream Bluetooth-to-analog icosahedron-shaped stereo adapter wasn't exactly priced to like. It does have some neat features like NFC, apt-X support, a battery, class 1 Bluetooth (greatly extended range), and an A2DP profile with support for up to 5 simultaneous Bluetooth connections, so it doesn't have to constantly re-pair. But, $50 is an awful lot when there are many cheaper products with similar (and in some ways superior) functionality on the market, so it might have made buyers a bit apprehensive. If you were on the fence about it, prepare to get off: this $25 off coupon code slashes the price of the Moto Stream in half, making it a pretty great deal, actually (I know I picked one up). Just enter PC7!3!RAK on the cart page and you'll be set to go. Update: The coupon no longer works, so this deal is over. 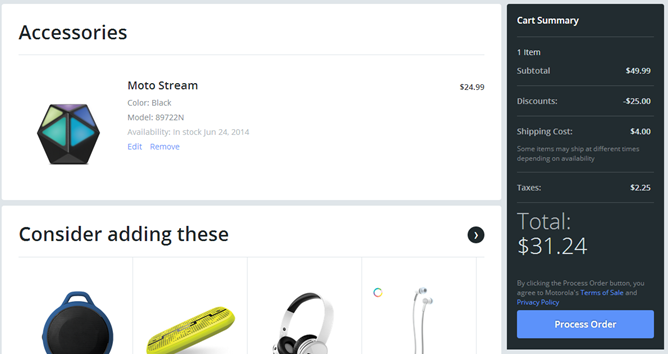 The Stream is backordered for a little over a week (I imagine it's going to keep moving in that direction, too), and shipping is $4, but otherwise, there aren't any "gotchas!" here. It's a sweet deal on a pretty neat little product. There's no information on when this code expires, so move fast if you really want one.